At Arizona Smile Designers, it’s our goal to get all those in and around Cottonwood and Sedona, AZ the smile they’ve always dreamed of. Unlike many other dentists, we’re proud to go above and beyond just our wide range of dental treatments and offer orthodontics as well. For those of you who are interested in orthodontic treatment, we’re proud to introduce to you our clear braces, also referred to as Invisalign. Invisalign is known as the clear alternative to braces. They work in a similar way to braces – by applying a controlled force to your teeth, they can slowly shift your teeth into a more beneficial alignment. The difference between Invisalign and braces is that while the metal braces are cemented to your teeth, Invisalign uses removable aligners that are made out of polyurethane plastic to move your teeth. Invisalign’s clear aligners offer a virtually discreet orthodontic treatment. If you don’t want to be seen in braces, you won’t have to – others won’t even notice that you’re undergoing orthodontic treatment with Invisalign! The soft polyurethane plastic that the aligners are made out of won’t irritate your mouth and gums, unlike how metal braces can. Because you can remove your aligners, you don’t have to worry about your diet while undergoing orthodontic treatment. While braces require that you avoid certain foods for fear of breaking or pulling apart the wires or brackets, there’s no food restriction when you have Invisalign. Cleaning your teeth becomes much easier as well because you can remove your orthodontics beforehand. Aligners also function as night guards that can protect your teeth from excessive wear and grinding against each other while you’re sleeping. A patient will first visit our office so we can determine if Invisalign is a good fit for him or her. If the patient is a suitable candidate, we’ll take pictures, x-rays, and impressions of the teeth so that we can create 3-D images of them. Our specialized computer software will take these images and design a plan for moving the patient’s teeth into the best possible alignment. After the plan is made, a series of aligners will be created and broken down into several dozen stages. For each stage, there will be an aligner for the upper set of teeth and one for the lower set. The patient will wear each set of aligners for a two-week period. When the two weeks are over, it will be onto the next set of aligners. 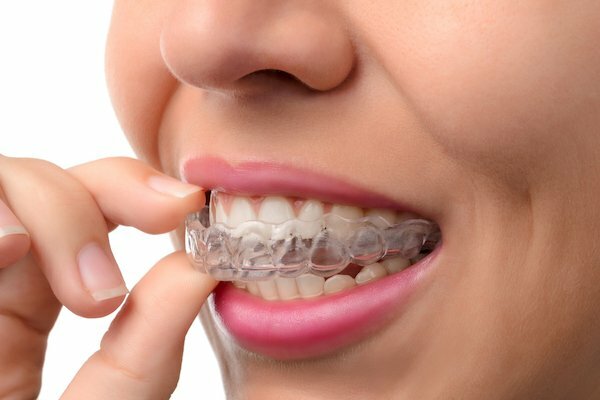 The patient’s teeth will gradually straighten as he or she goes through the aligners and after the last set is worn, the patient’s teeth should be exactly as prescribed by the orthodontist. We also offer an alternative for our teenagers – Invisalign Teen. This orthodontic treatment provides two special features that are designed specifically for young adults. The first is the eruption tabs that will hold the correct amount of space open for molars that haven’t fully grown in yet. The second feature is the compliance indicators. These indicators are dots on the back of the aligners that will fade over time, letting the orthodontist know if the aligners are being worn as prescribed. Why Get Invisalign at Your Dentist’s Office? While there are many orthodontists out there who specialize in orthodontic treatments, we’d like to recommend considering us for your orthodontist during this procedure. As your Cottonwood and Sedona, AZ dentist, we’ll have a much better picture of your overall dental health, having treated you as our patient for a while. We’ll be able to combine our dental expertise and our orthodontics in order to give you a more efficient treatment. Also, during your orthodontic treatment, you’ll need to visit the orthodontist multiple times to see how your treatment is progressing. In addition to that, you’ll still need to make your visits to the dentist twice a year. By coming to us for your orthodontics, you’ll be able to save time since you won’t need to make extra trips to both the dentist’s office and the orthodontist’s office. 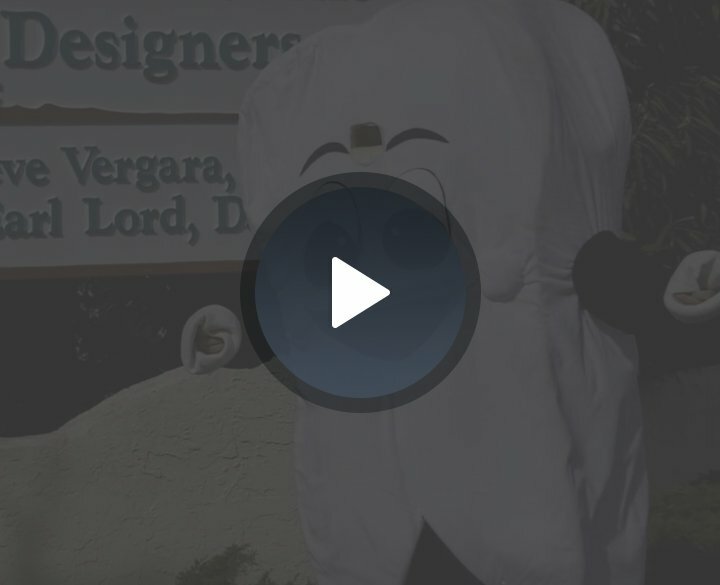 Contact Your Cottonwood and Sedona, AZ Dentist Today! If you’d like to know more about our clear braces, please feel free to contact us. If you’re interested in scheduling an appointment with us, we encourage you to fill out our online appointment request form or give us a call at (928) 634-8610. We can’t wait to hear from you!